The cluster may be worn by Department members attired in the field or full dress uniform. The attachment bar representing the highest order of precedence will be positioned at the top with subsequent attachment bars in order of precedence from top to bottom. Description: Granted in acknowledgement of an exemplary level of personal achievement in uniform appearance and/or physical fitness by Sworn Department Members assigned to uniform duty. Probationary Police Officers are not eligible for this award. 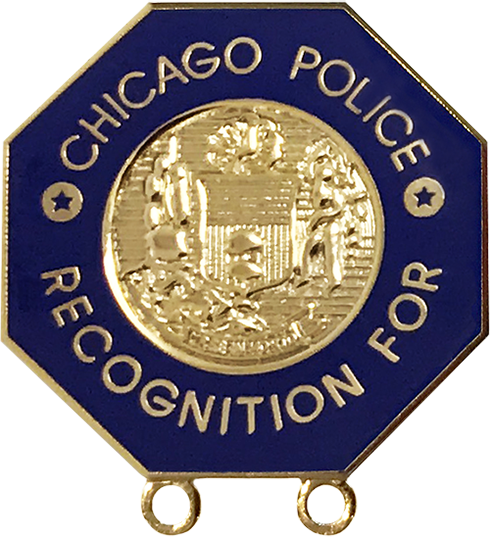 Description: Presented to any Sworn Department Member, in addition to the Department Emblem of Recognition, wherein the member has continually displayed exemplary appearance while wearing the authorized uniform / equipment items and has maintained a minimum overall performance evaluation category of Meets Expectations over the last two rating periods. Description: Presented to any Sworn Department Member, in addition to the Department Emblem of Recognition, wherein the member has participated voluntarily, during off-duty hours, in a fitness agility test to determine the members level of physical fitness and has received a passing score on the exam.